Within easy reach of the M1 and M40. Opposite Kenton main line and underground station, 400yds from Northwick Park underground station. 15 minutes by train to Wembley Arena and stadium. Access to central London is easy from this hotel or for local shops and amenities Harrow shopping centre is nearby. 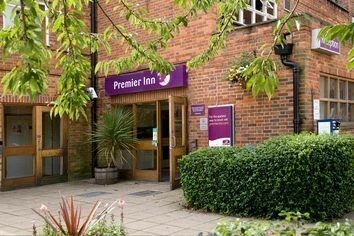 Our London Harrow Premier Inn has everything you'd expect, incredibly comfy beds in every room and an onsite Beefeater restaurant serving freshly cooked chargrilled food. From M1(J4) follow signs to Harrow, then signs to Kenton. Situated between Harrow and Wembley on A4006, opposite Kenton Railway Station (possible noise). Next to the Traveller’s Rest Beefeater.